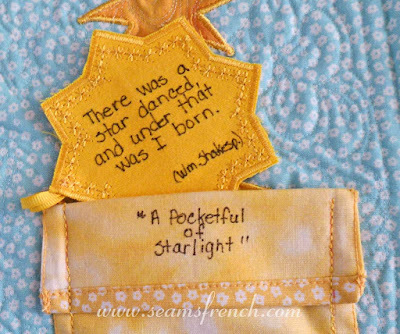 Her arrival was marked by a quote from William Shakespeare. Made with a fine Swiss batiste it will have a white top and ochre back with gold embellishments. 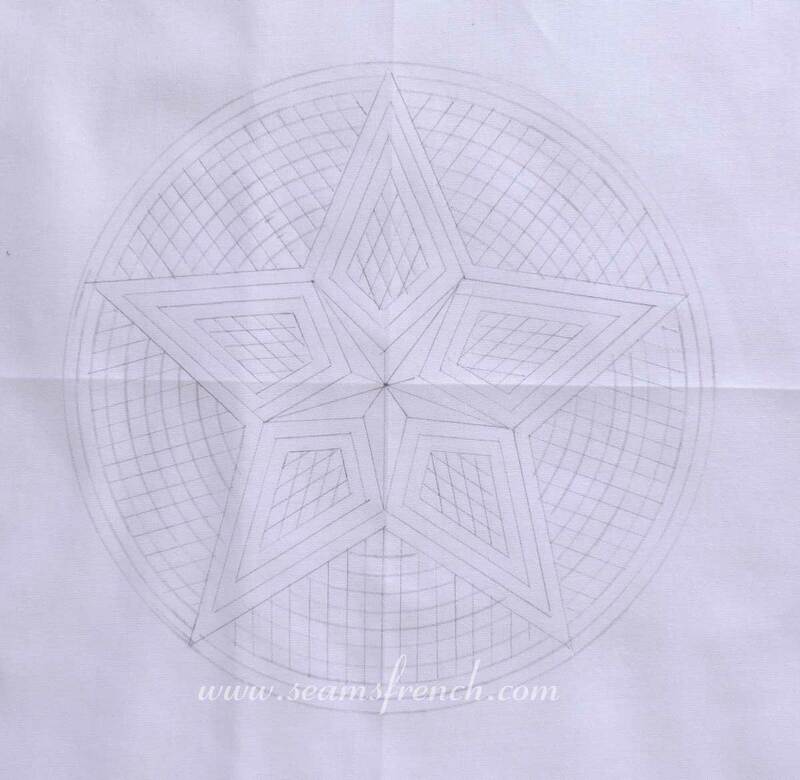 Below is a variation of the same star set into a circular border of "point de vauvert", (the same pattern surrounding the perimeter of the saffron rose window shade). 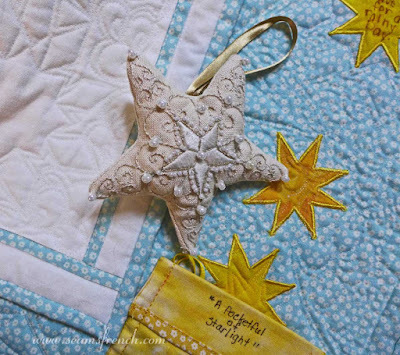 A little too large for the "pocket", this white on white boutis ornament could swing in a window like a dream catcher, or it could be a new addition to the Christmas tree. 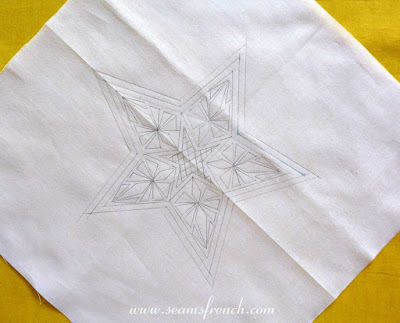 These stitch up fairly quickly, so there's a good chance they will be finished on time. 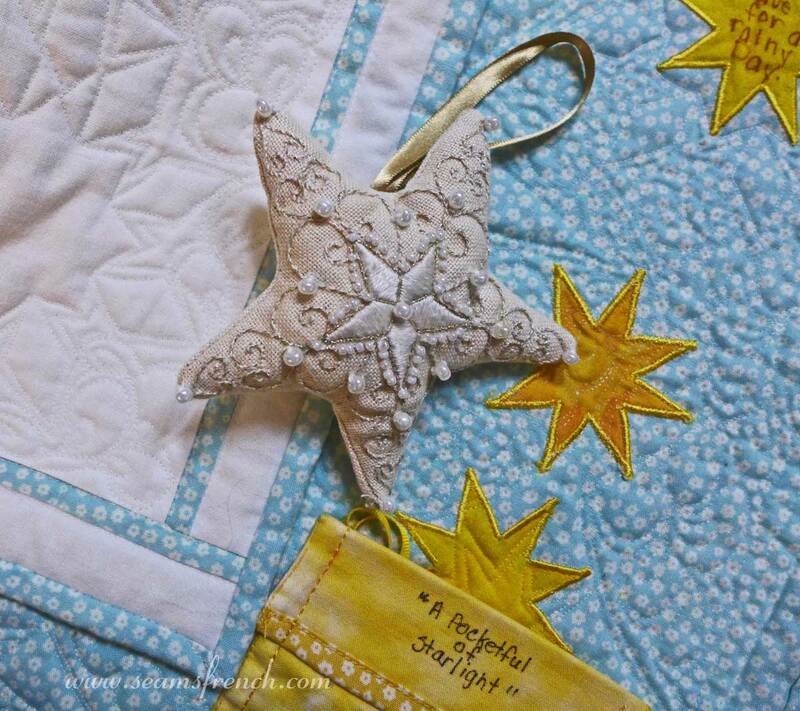 I LOVE this quilt and hope it has been well used! Your star theme is delightful and I adore the new boutis star you are making! Would love to make one of those for myself! Thanks Karen. 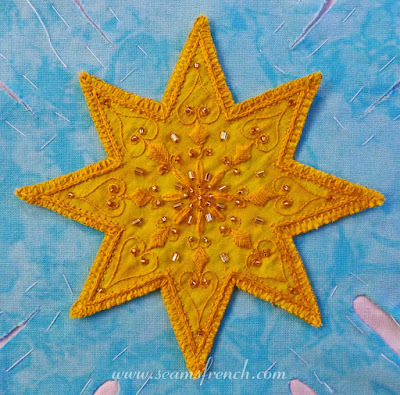 The star sews up very quickly and I would be happy to share it with you. Hard to believe you are making your third one of these already! Does it seem like a short or long time to you? I think it will be very grounding to find yourself making these as the years go on. And I know Lady H will love them too! When you said 3rd star, I had to stop and think, 3rd? She will only be 2. But yes 3, one when she was born, and one for each birthday, and she will be two. And yes, the two years have gone incredibly fast. 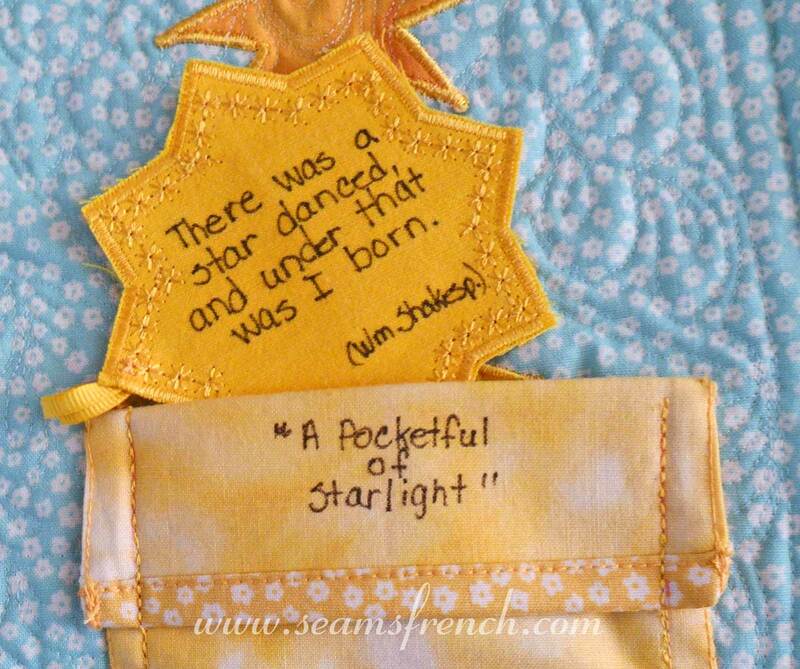 I love the idea of making a star at every birthday. It's a wish and a promise, one I look forward to giving every year.